I’ve been going to this mechanic for about five years now, they take good care of my car. They tell me when i should change certain things on car before they get damaged. Most repairs are vehicle maintenance. They are very fast in everything they do. 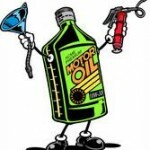 Monica is just one example of the quality of service you will get at Imperial Ave Auto Service Center. The staff at Imperial Ave Auto Service Center is ASE certified which means they are the best in the business when it comes to servicing your vehicle. Imperial Ave Auto Service Center handles most anything related to your vehicle from engine work to exhaust work (except smog checks). Call today to schedule a time to bring in your vehicle and get the same experience that Monica had. Brake Service for only $58.95. See ad for details (Restrictions may apply). Most Cars. Light Trucks & Suvs Extra. 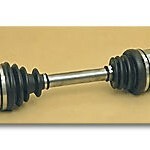 Includes: Labor & pads or shoes per axle. Extra repairs may be needed at substantial extra cost. 4 Cyl. Includes: Plugs, set timing, adjust carburetor, inspect fan belts & hoses, charging system. FWD & V6 extra.